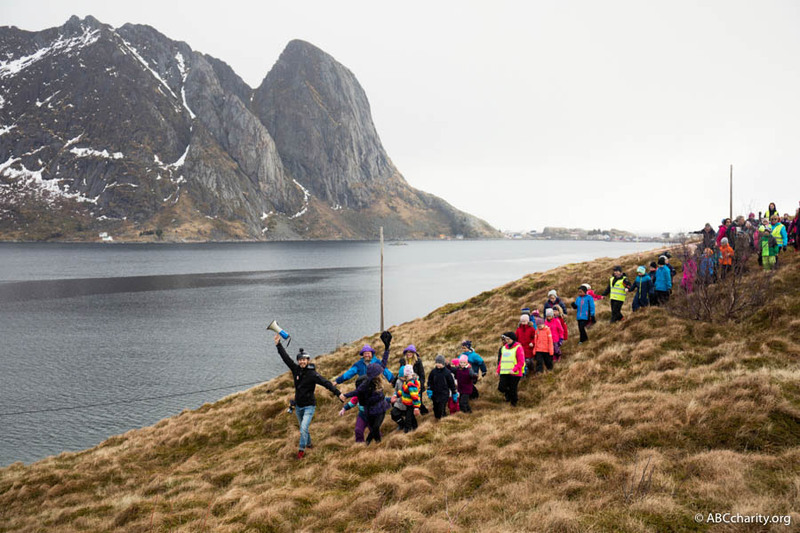 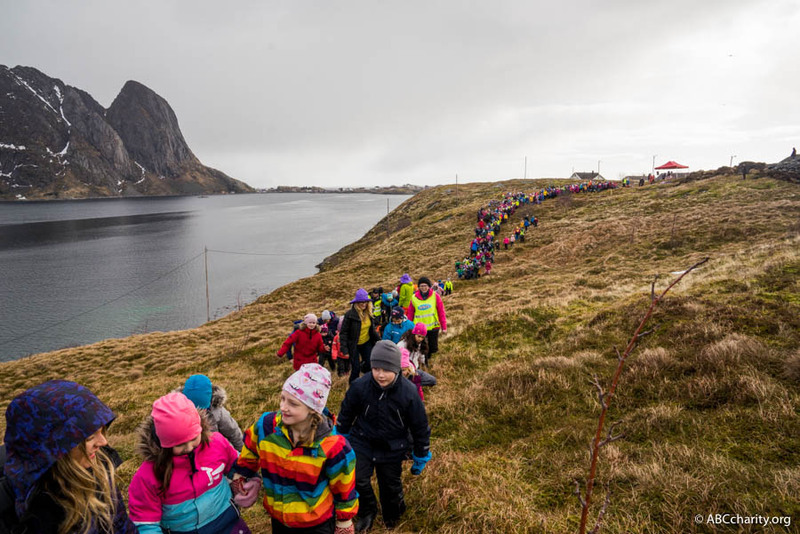 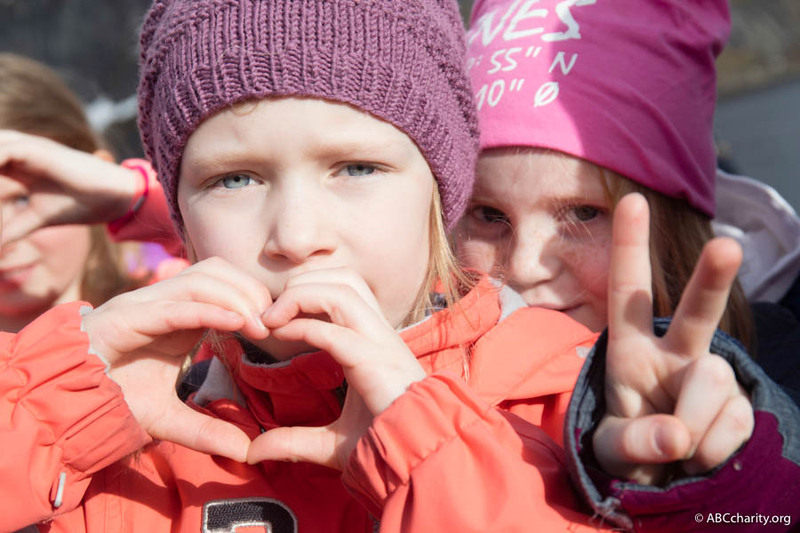 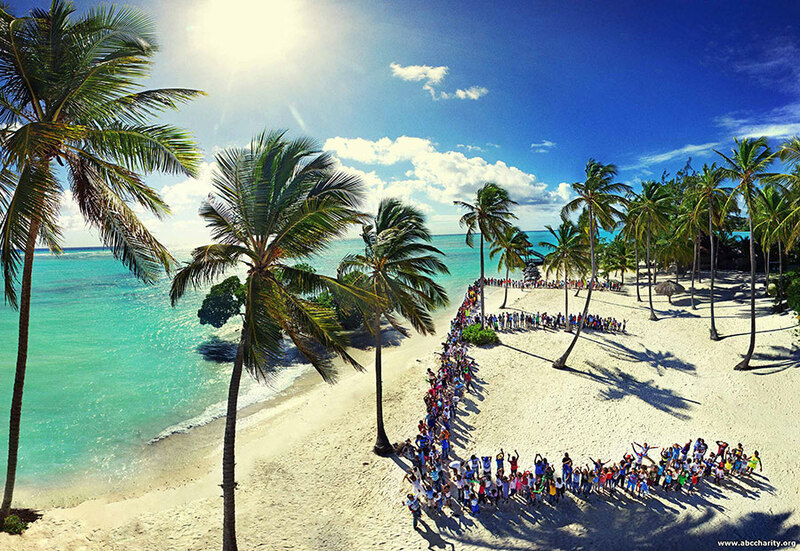 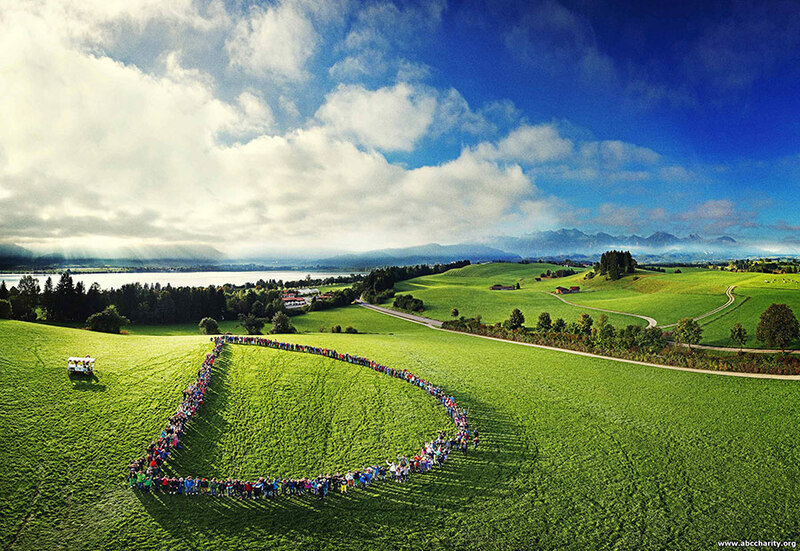 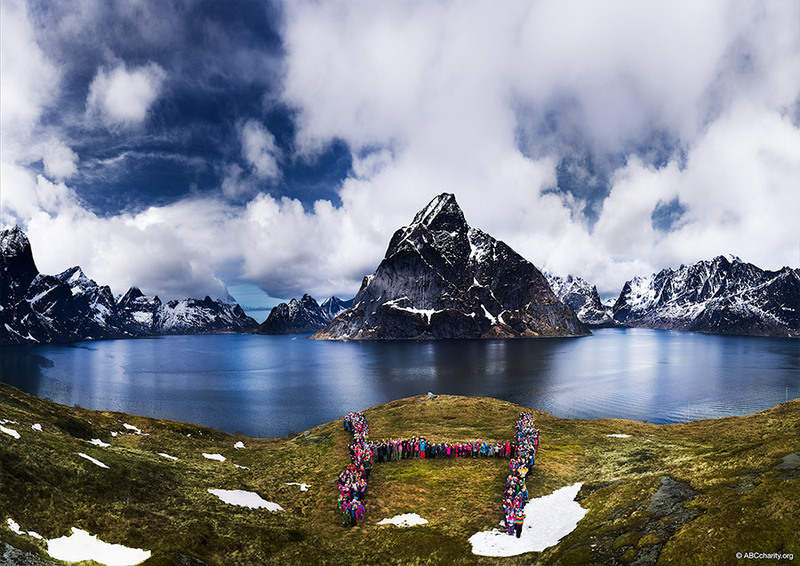 390 kids formed the H in Lofoten, Norway. 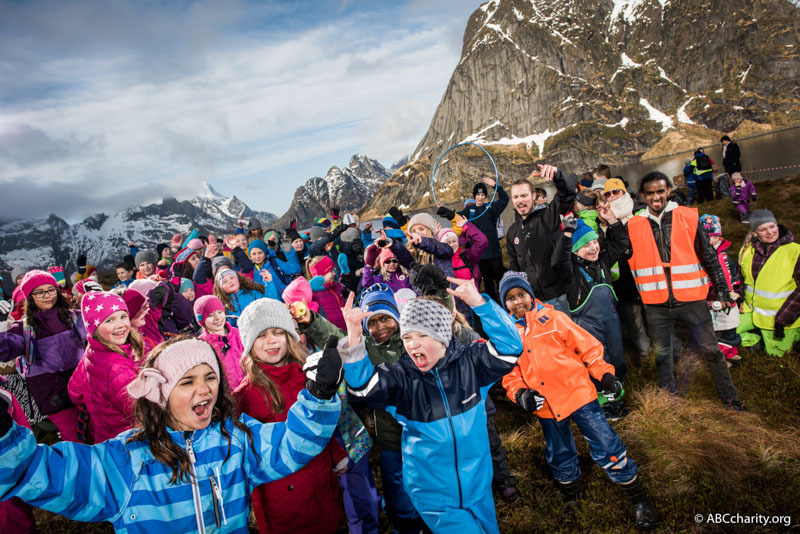 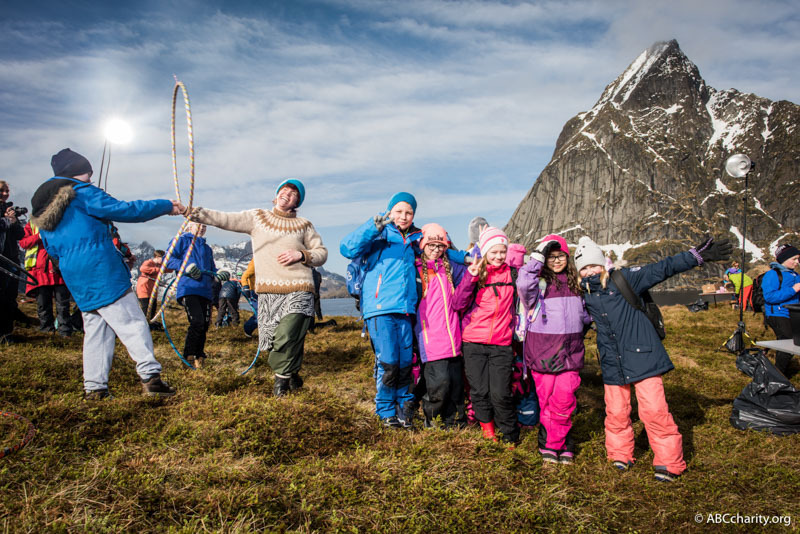 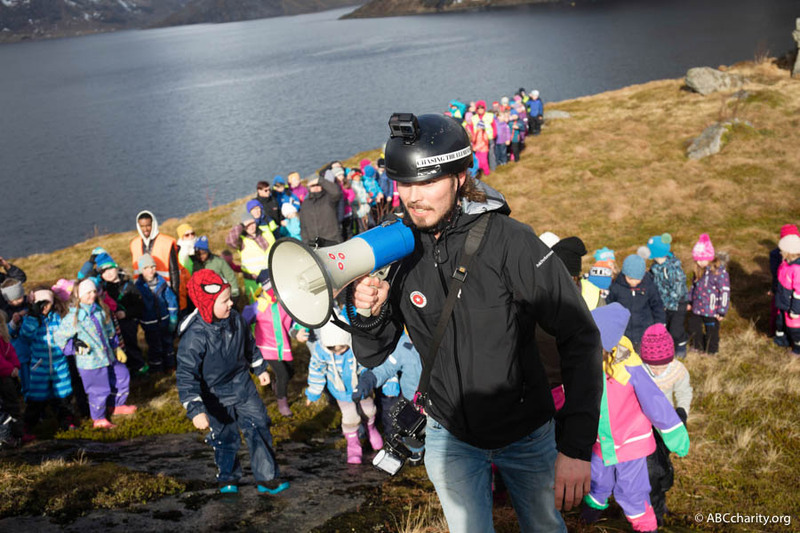 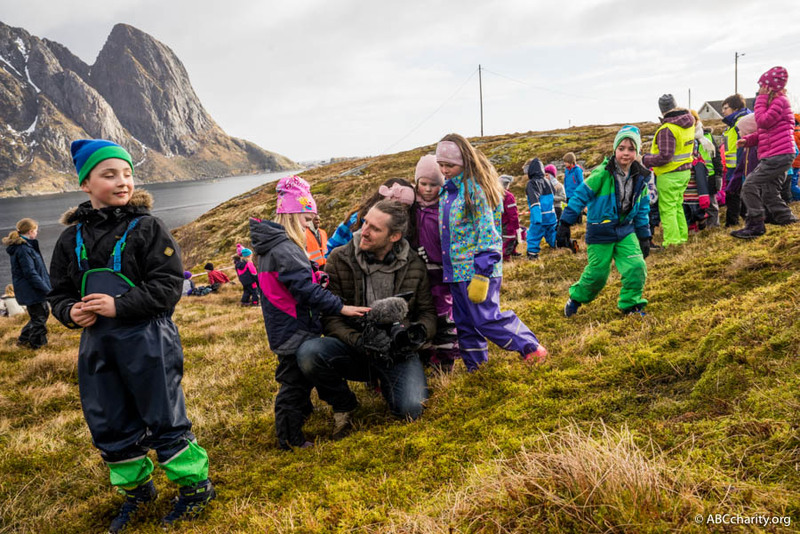 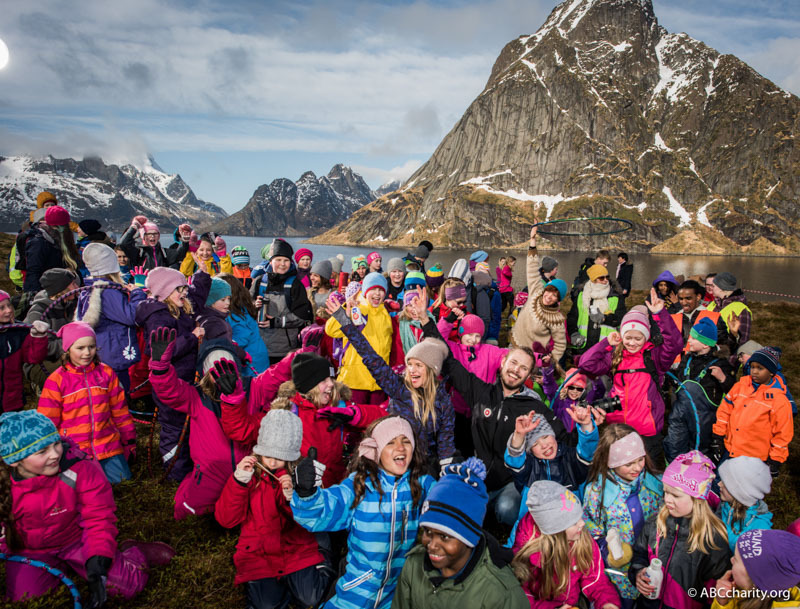 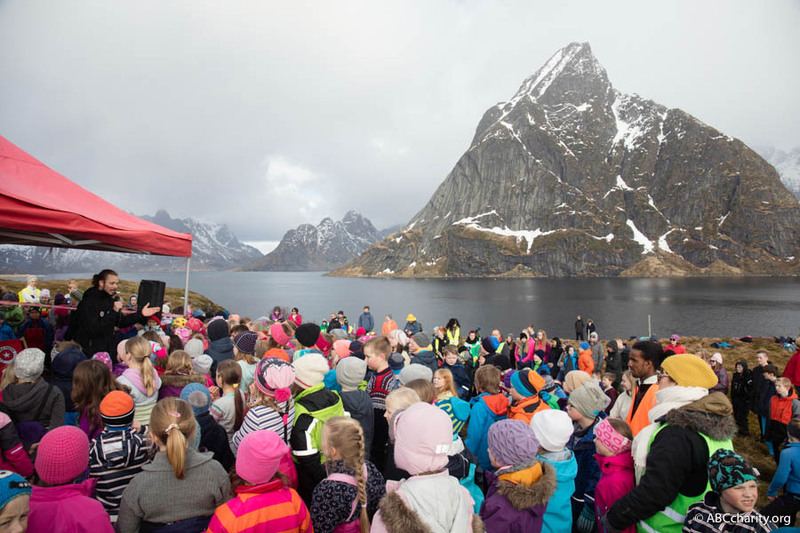 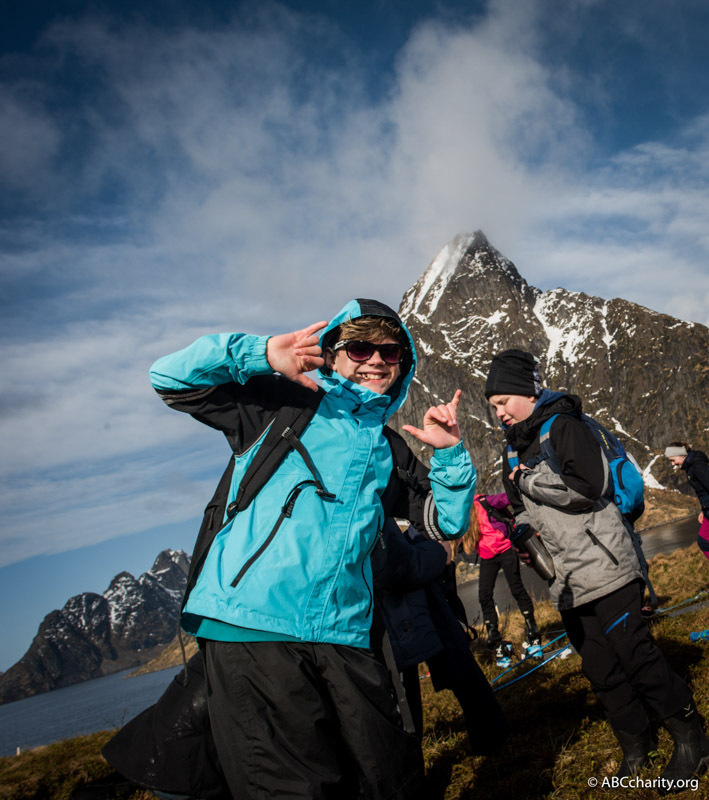 “H” in Norway with 390 children in Lofoten. 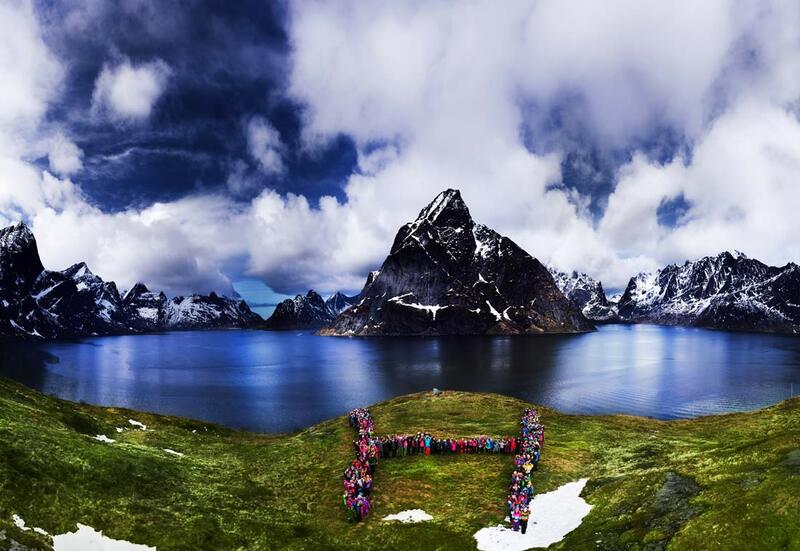 The letter “H” in Norway was created on April 5th 2017 by 390 children from Lofoten’s local schools in Leknes, Ramberg, Reine and Sørvågen. 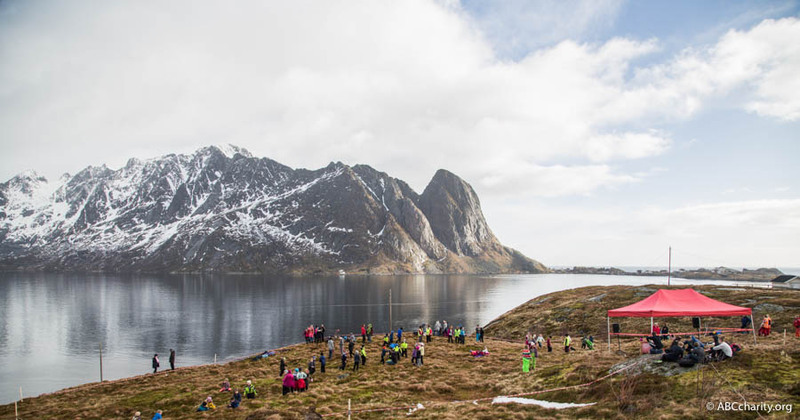 The majestic backdrop, Reinefjorden, is one of the most scenic views in Norway. 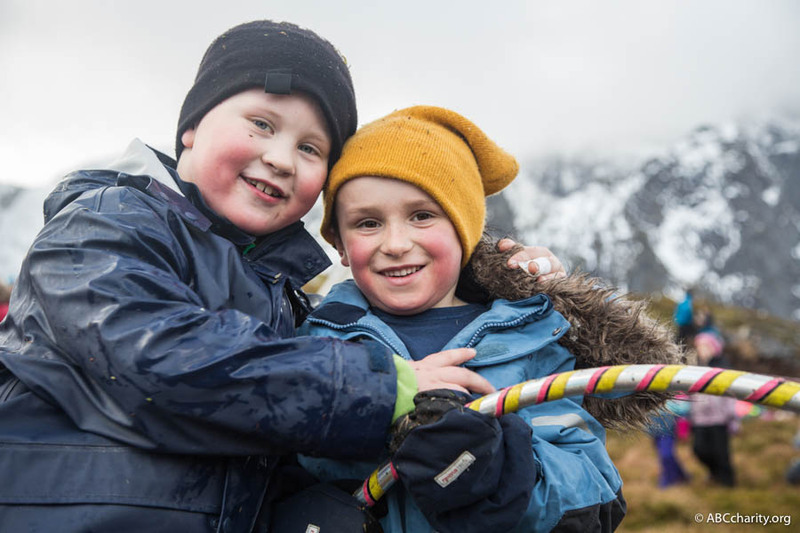 The children had such a fun time and said it was one of their best school days ever. 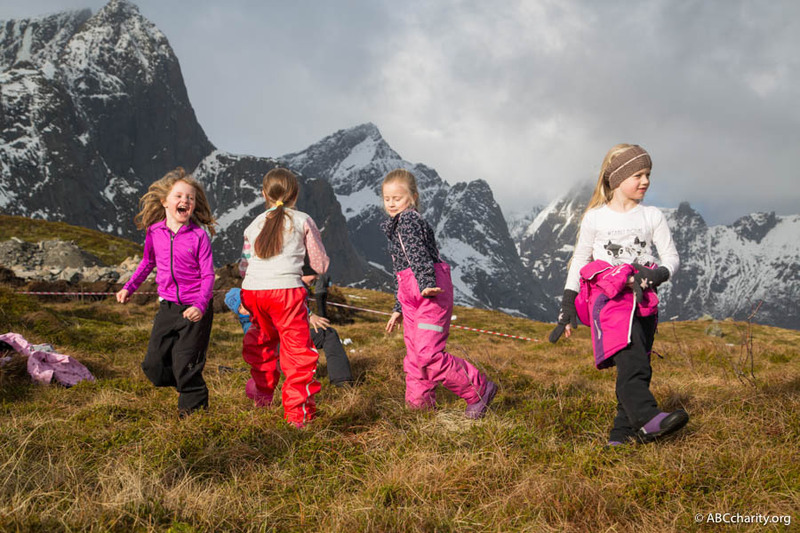 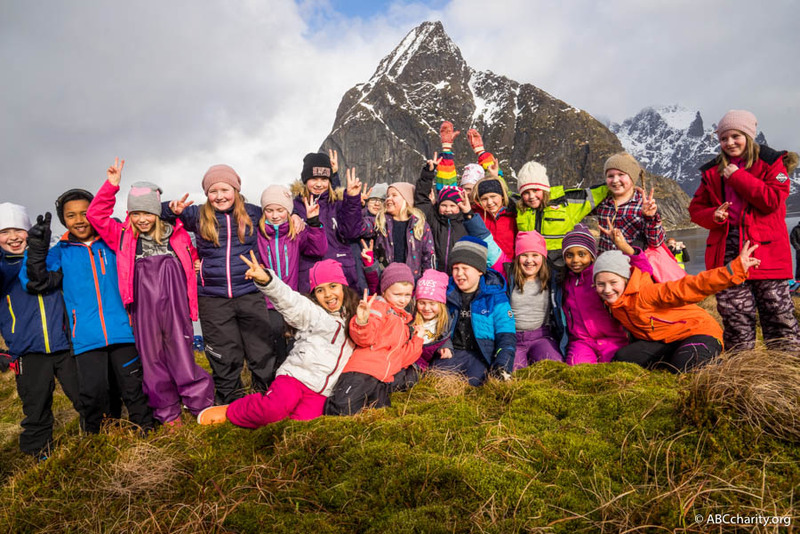 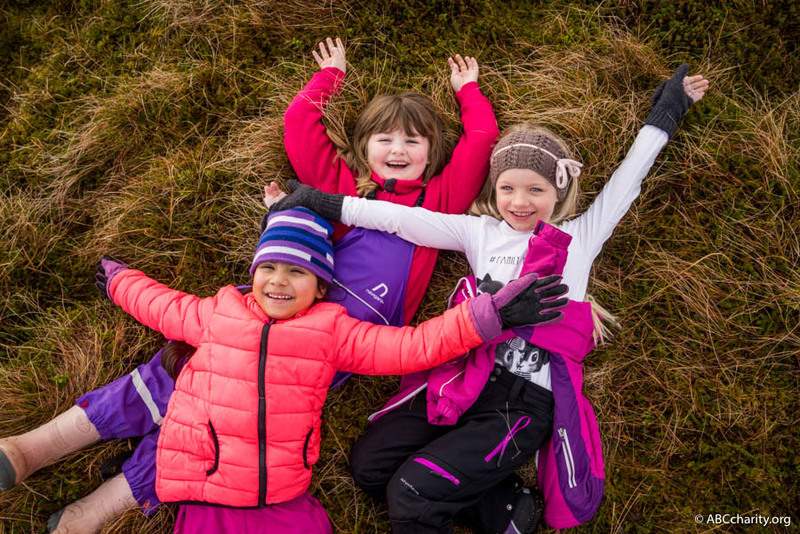 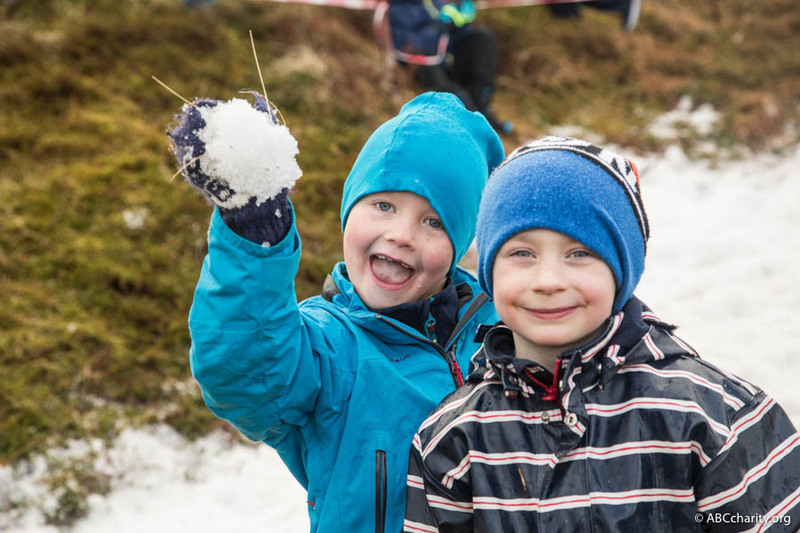 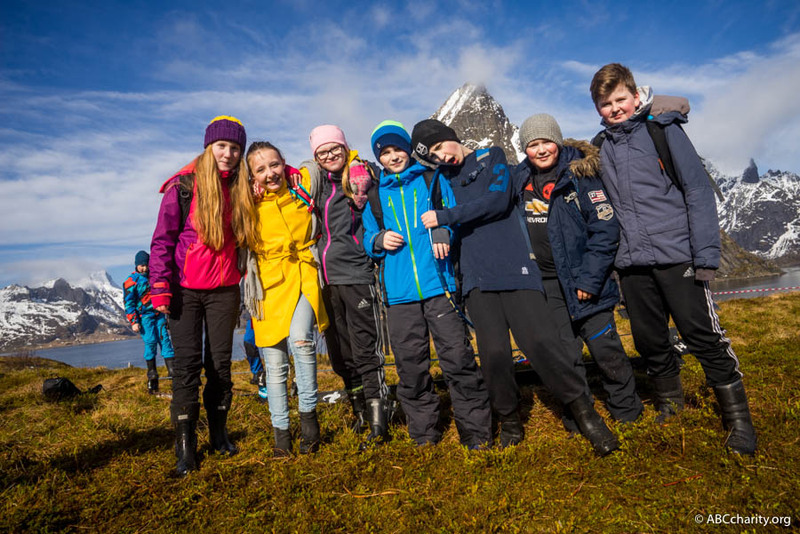 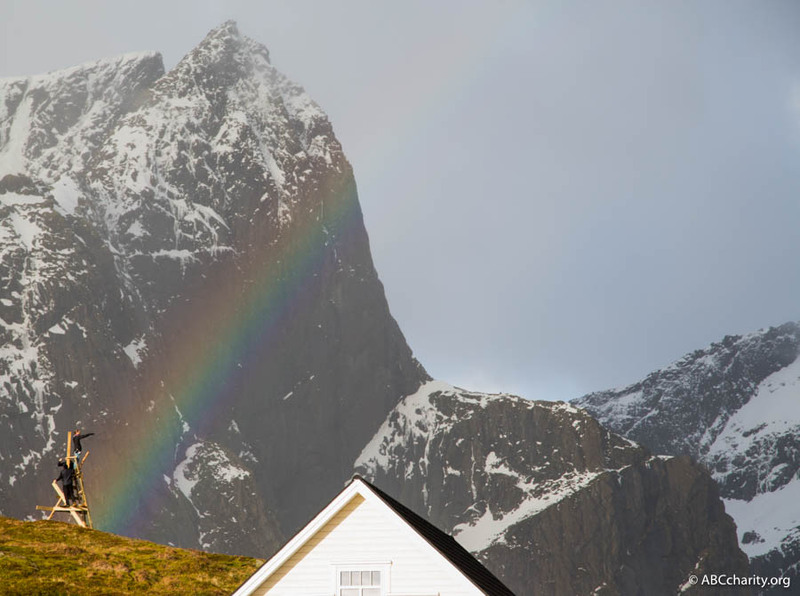 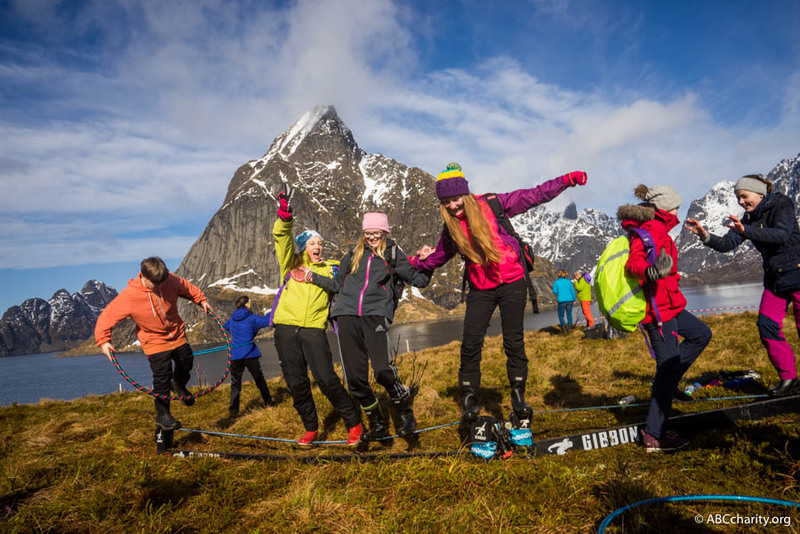 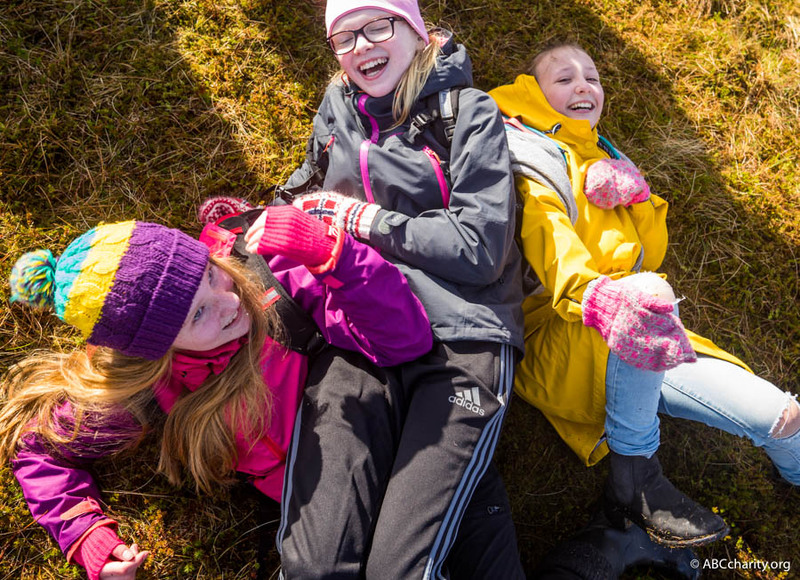 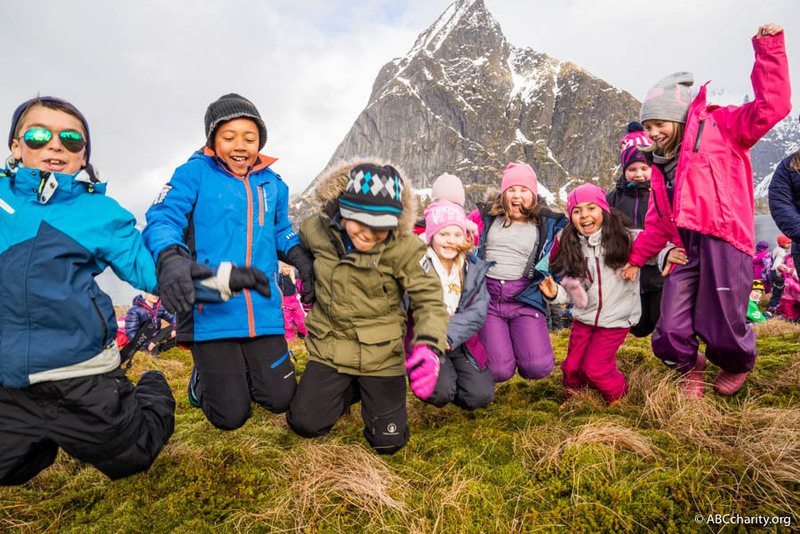 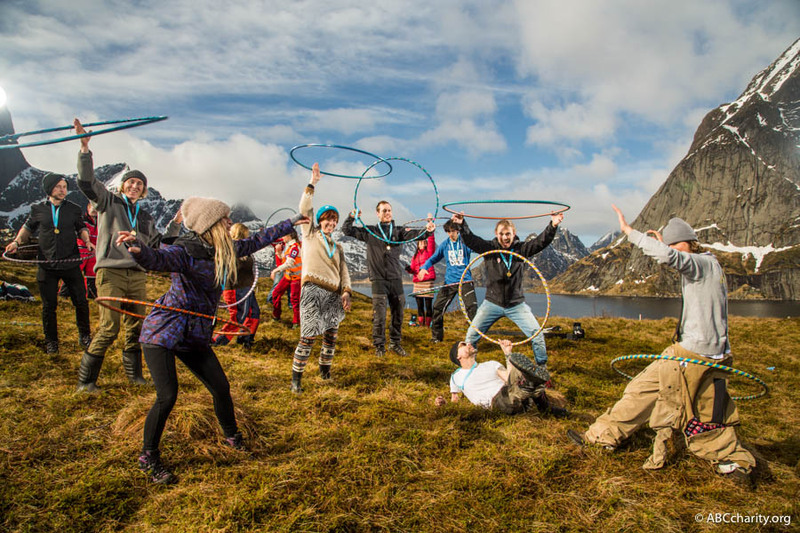 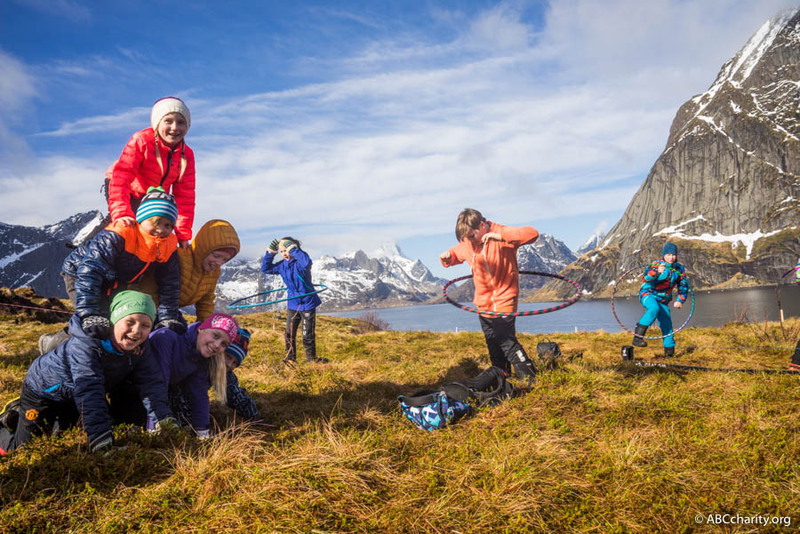 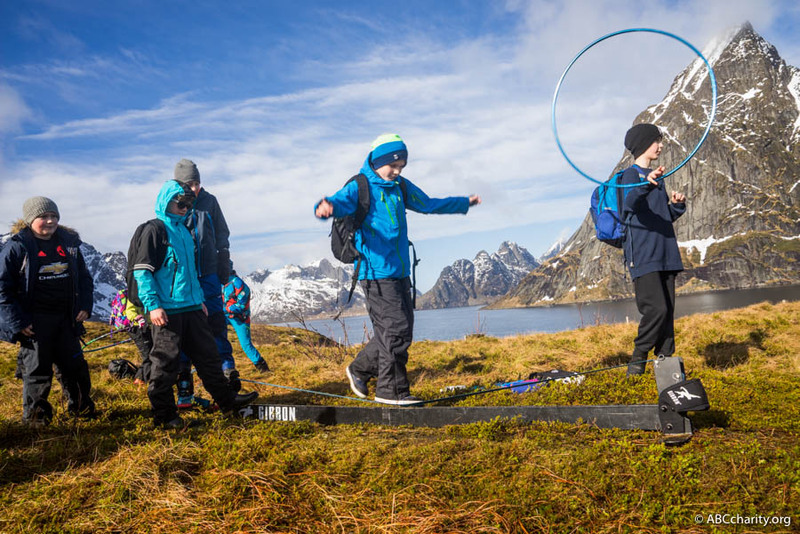 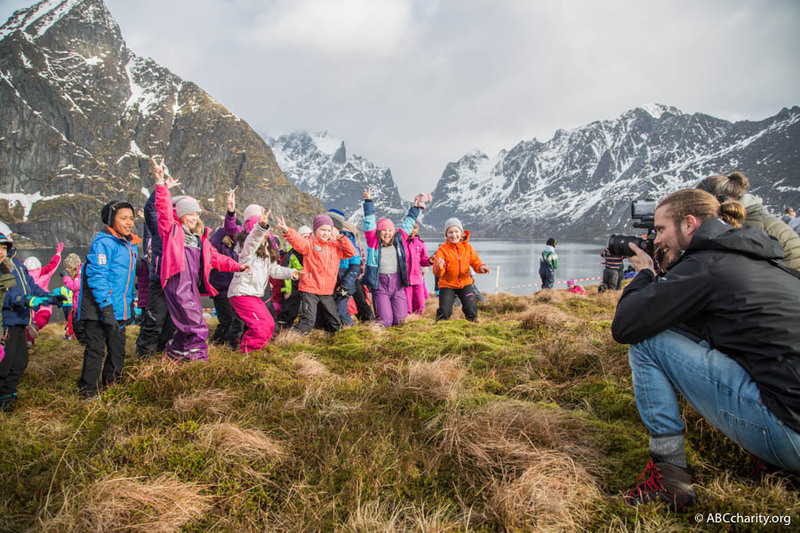 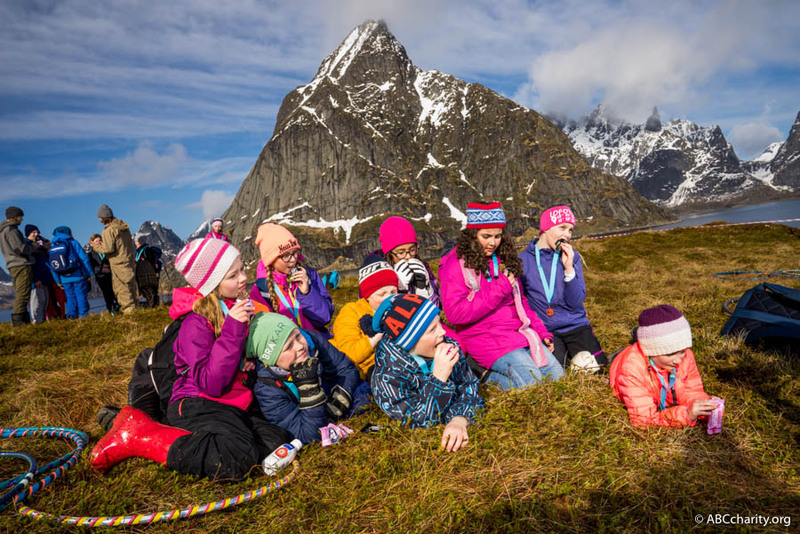 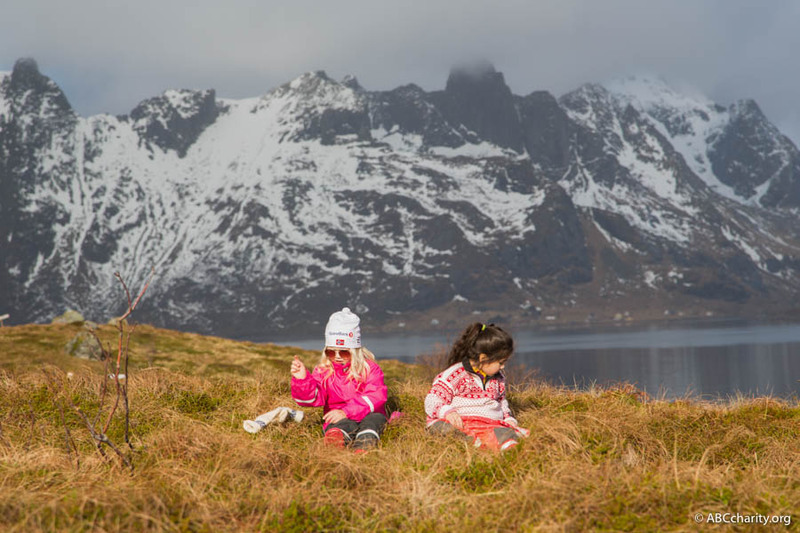 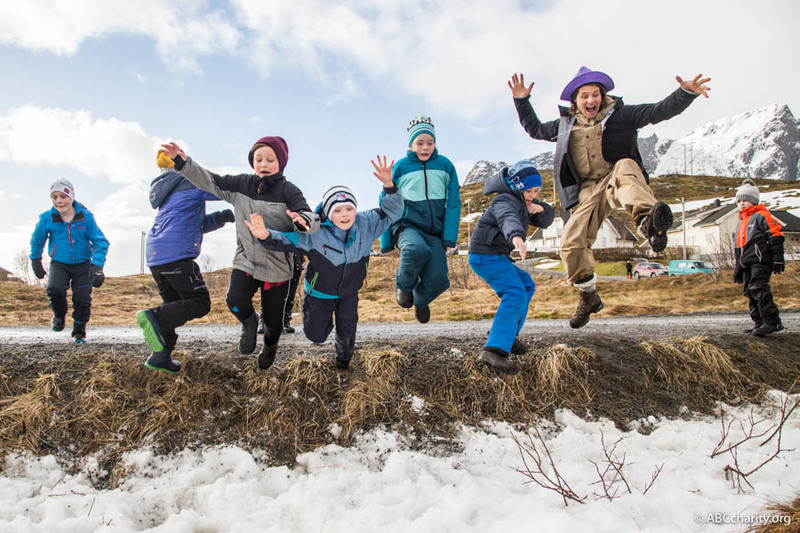 The laughter of children swirled throughout the valley of snow covered mountains as they were cartwheeling, dancing and playing in the grass on the hill overlooking the beautiful landscape of Lofoten, Norway. 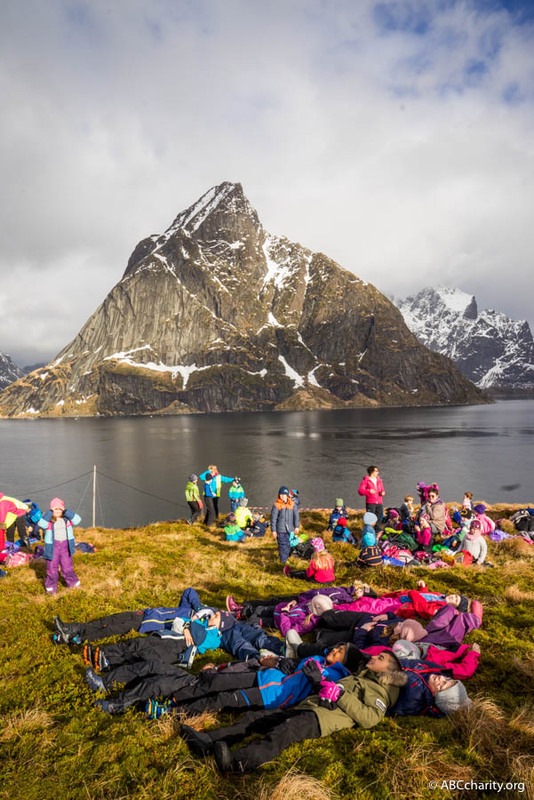 As the children arrived in the morning hours they ran happily and with a sense of freedom out on the field where a curated event space had been prepared for their enjoyment and play and so they continued until the busses brought them back home in the early afternoon. 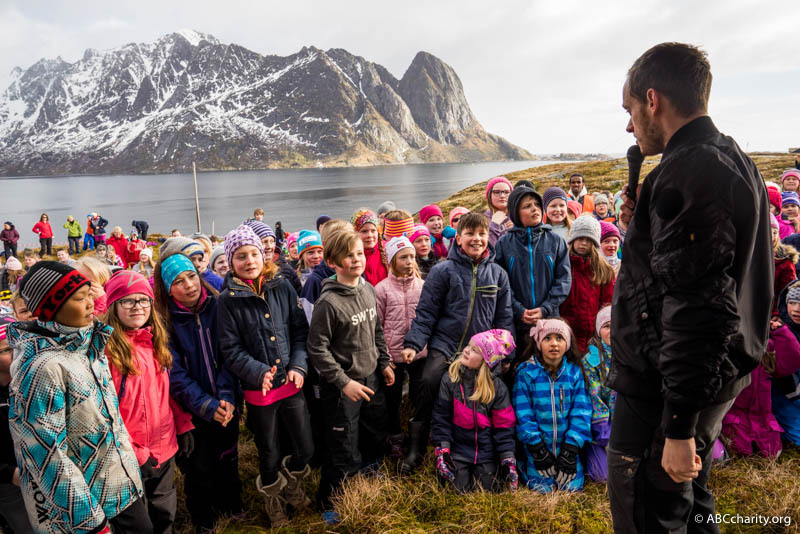 Moskenes Mayor, Lillian Rasmussen, welcomed the children by talking about the importance of Helping others and to have Hope for the future. 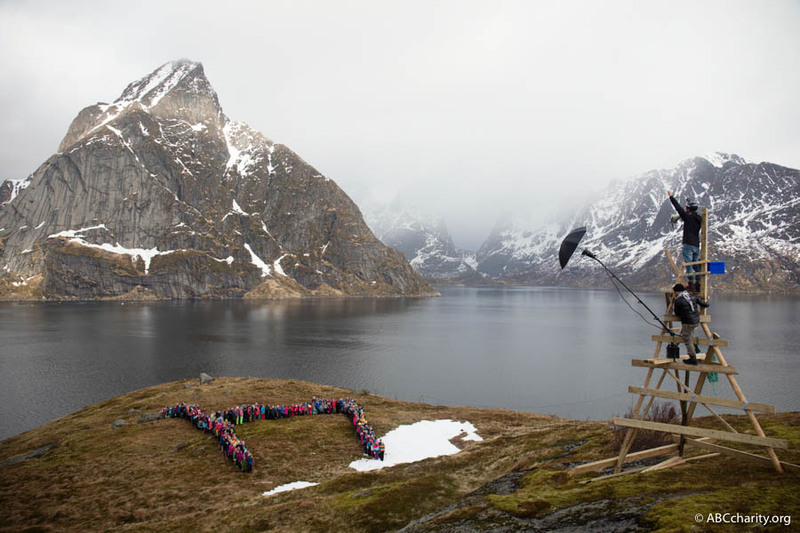 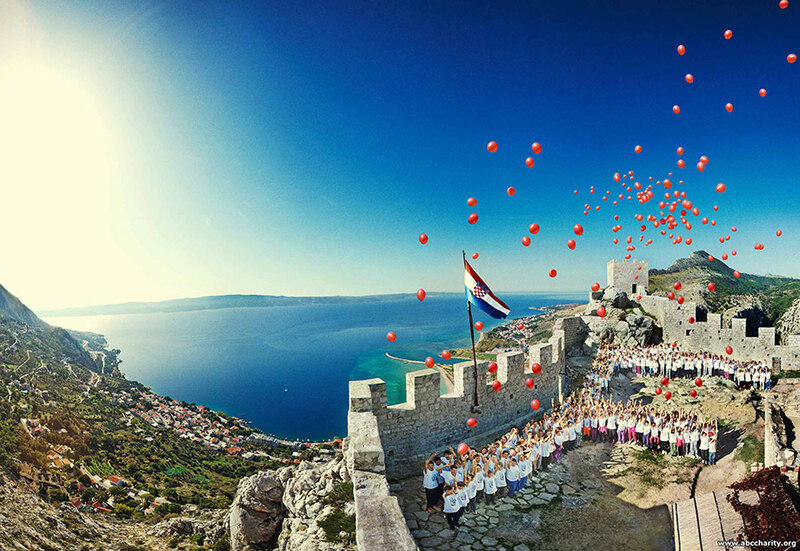 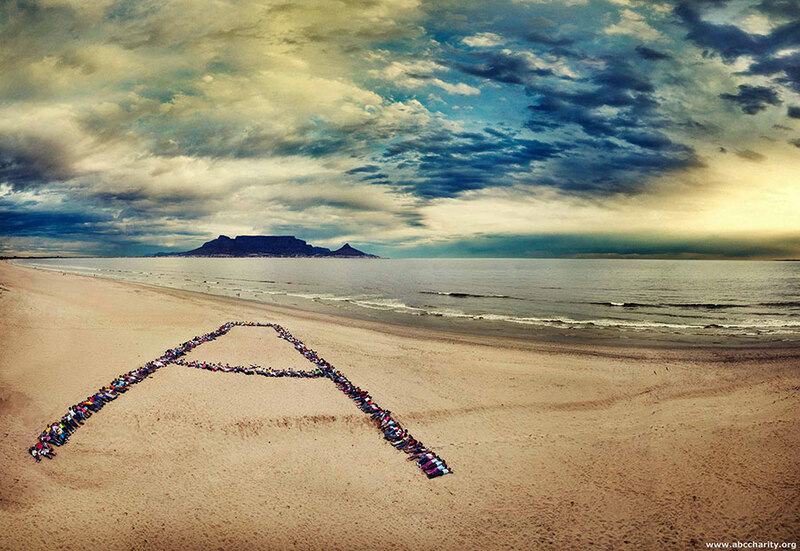 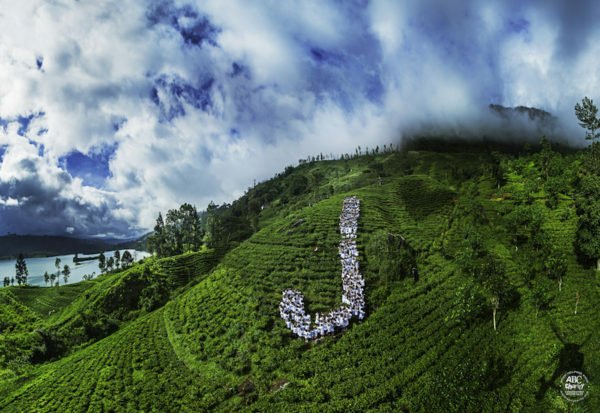 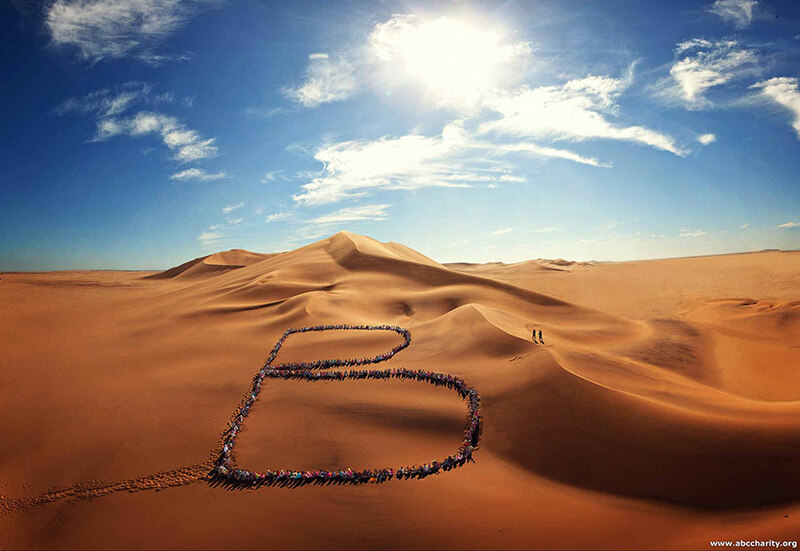 Photographer Filip Cederholm then walked the children into the formation of the letter “H” and when the shape was perfected climbed the tower on top of the hill built to capture the picture. 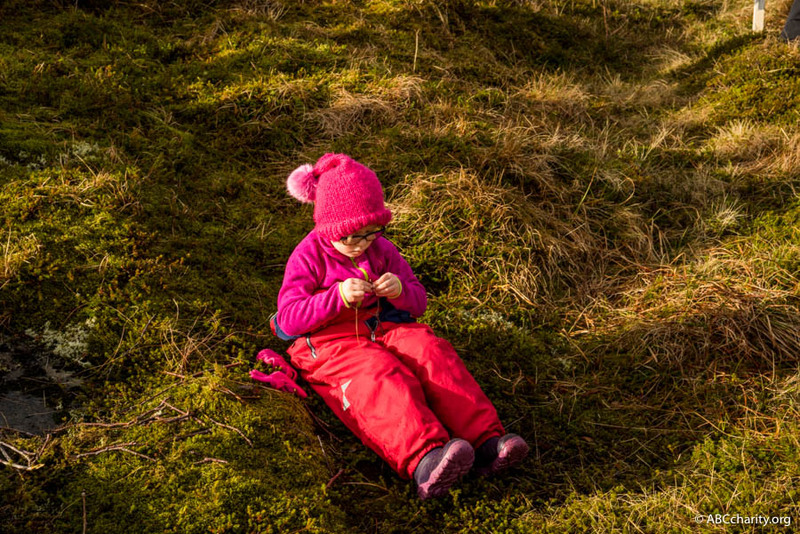 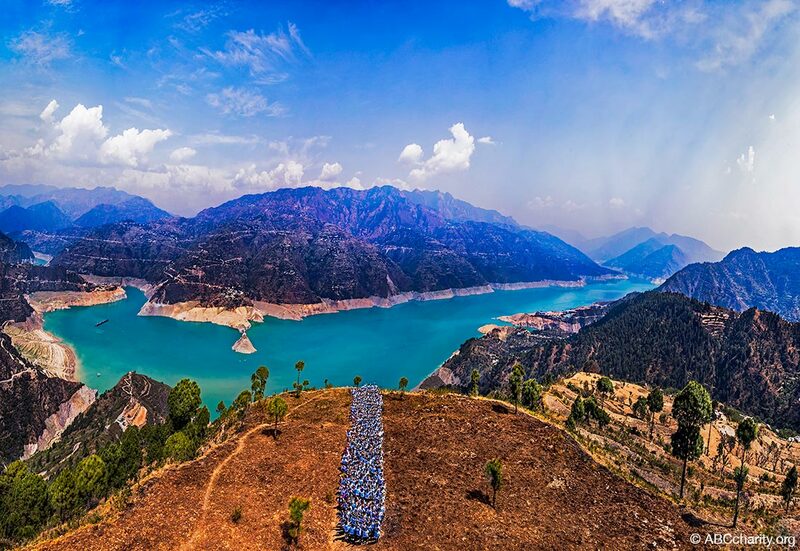 Time suddenly stopped, a breath of silence, and then – click! 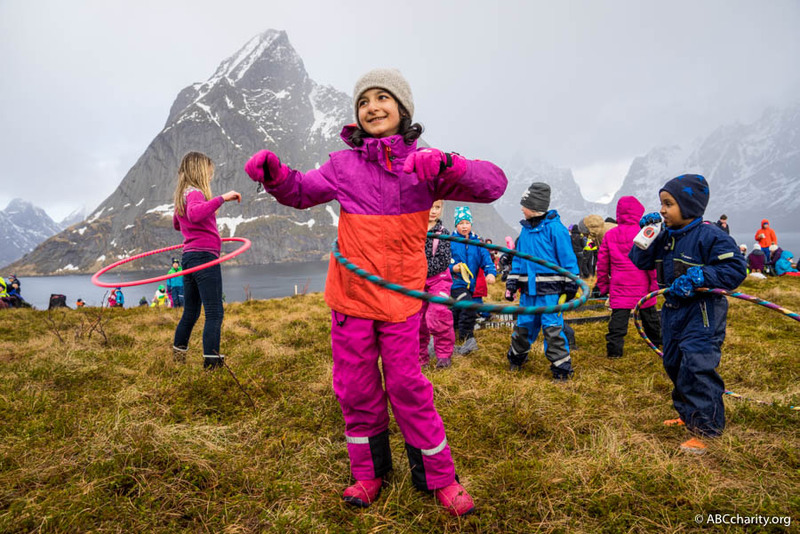 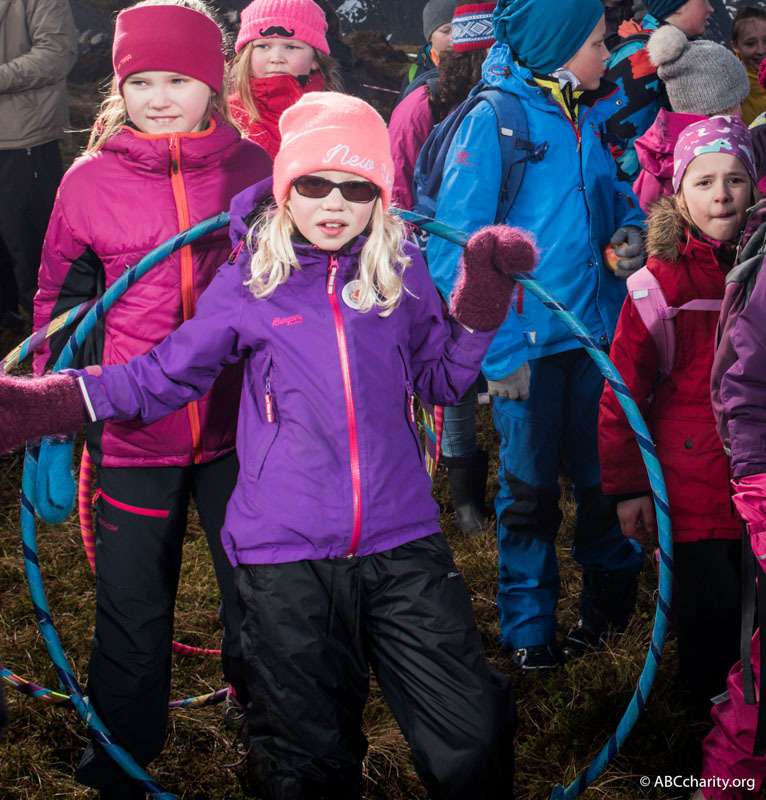 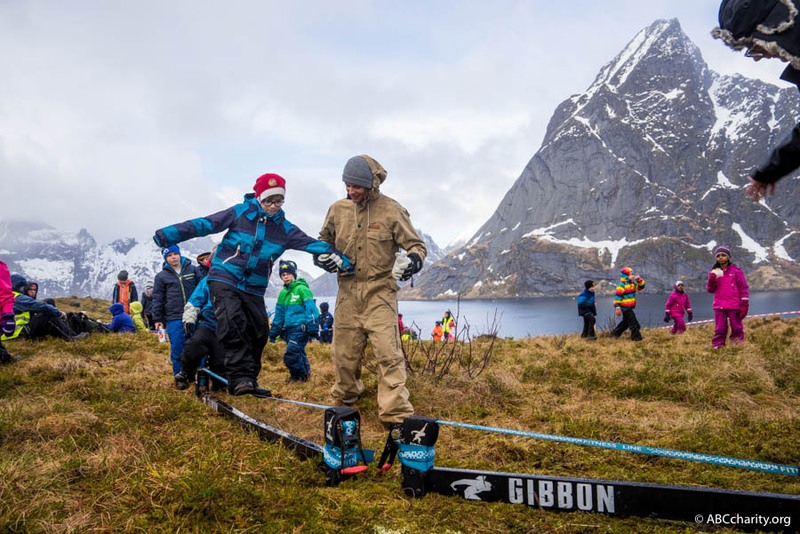 Once the picture was taken all the children ran out from the formation on the count of three, music filled the air, Adam Holm, windsurfing world champion and founder of “Chasing the Elements”, entertained the children with dance and slacklines while Elisabeth F Lund a.k.a. 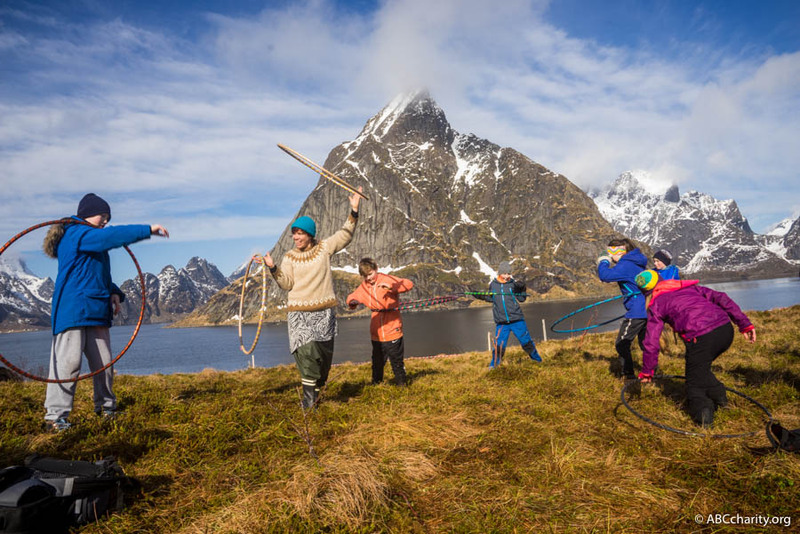 the queen of hula hoops made the children swing their hips. 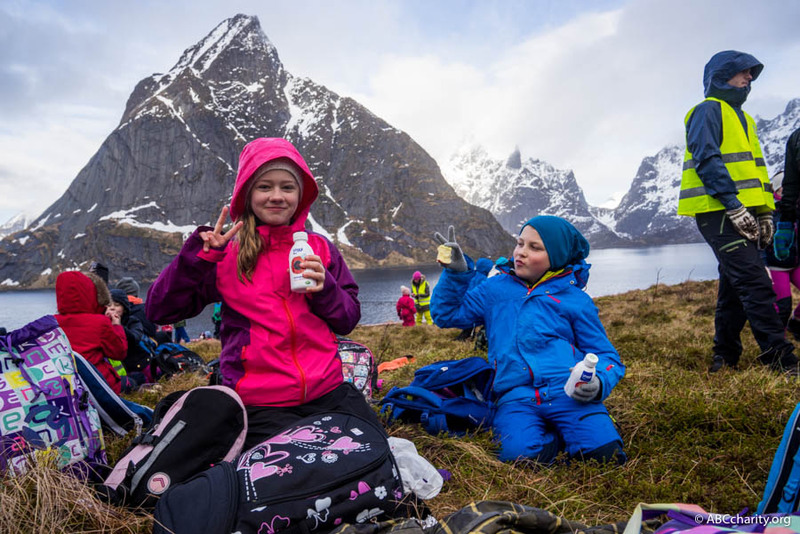 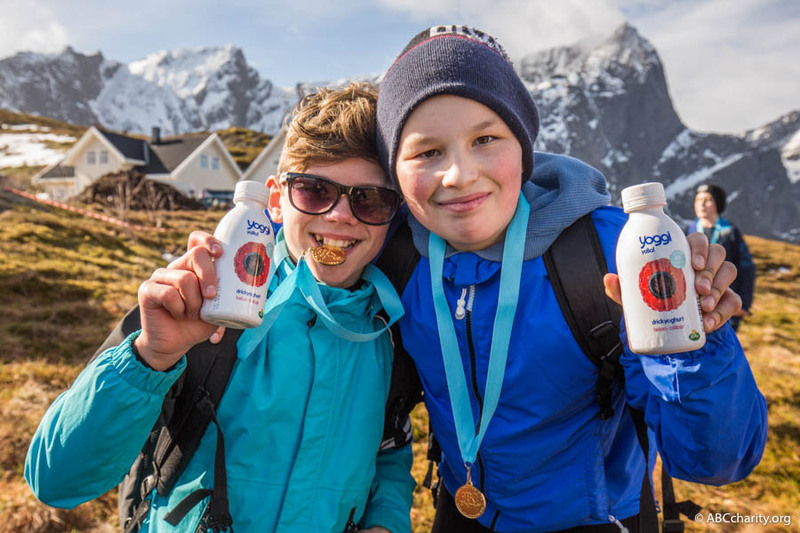 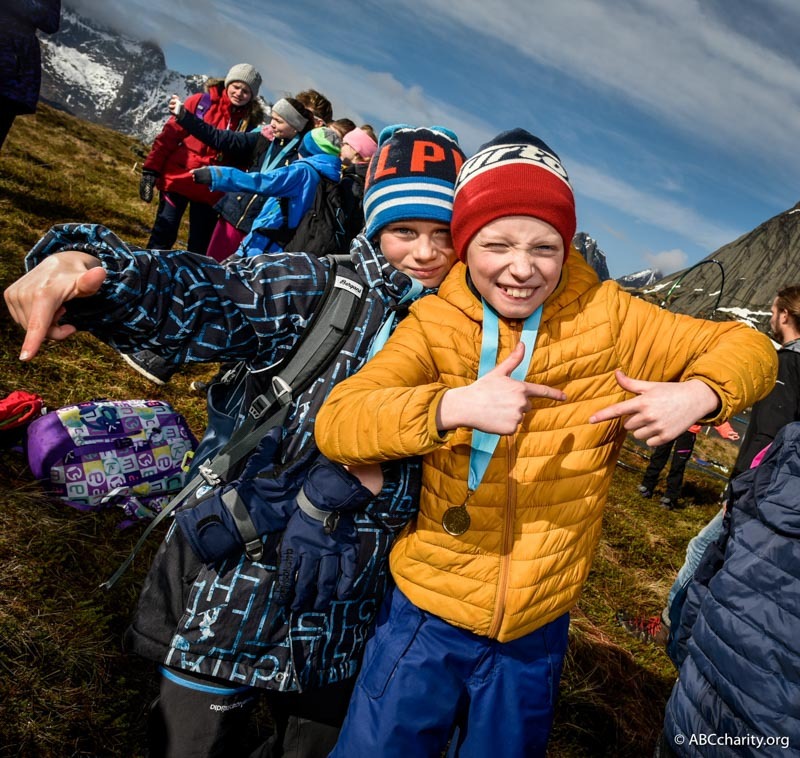 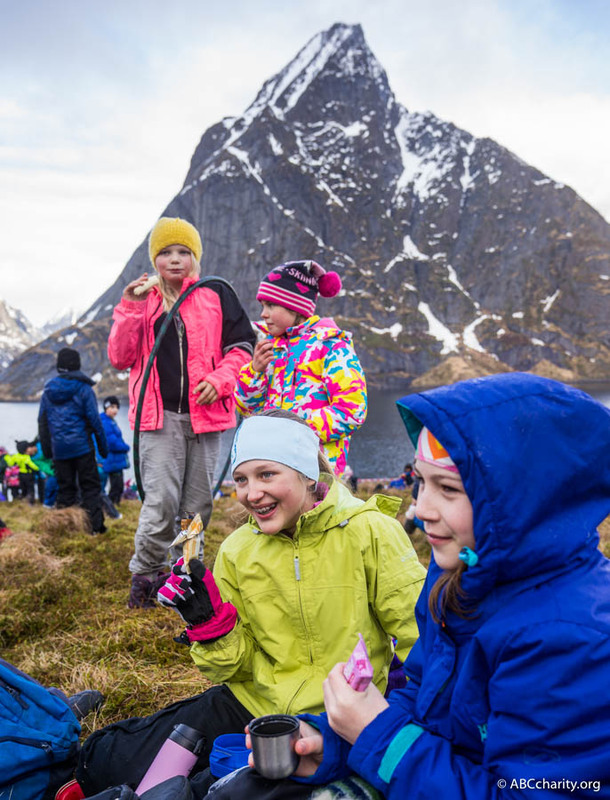 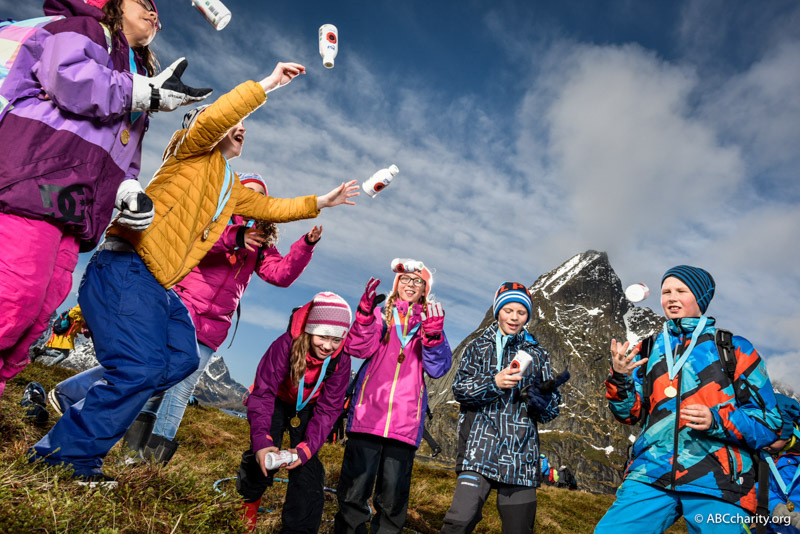 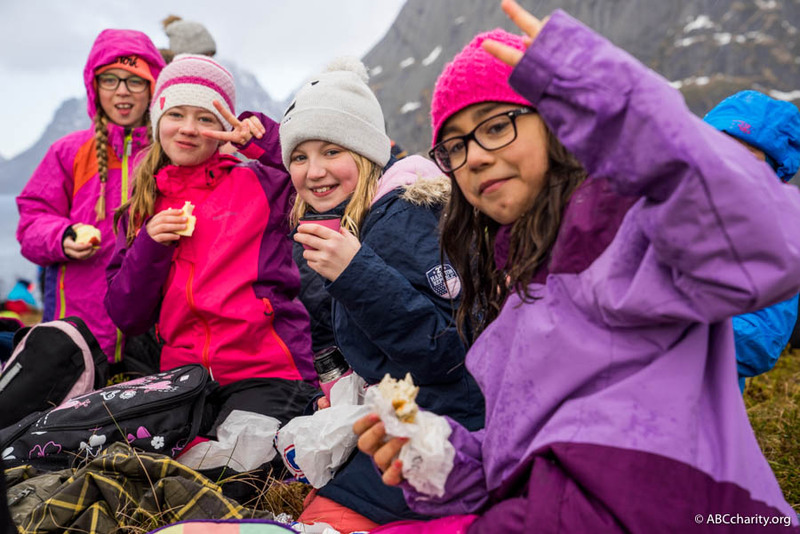 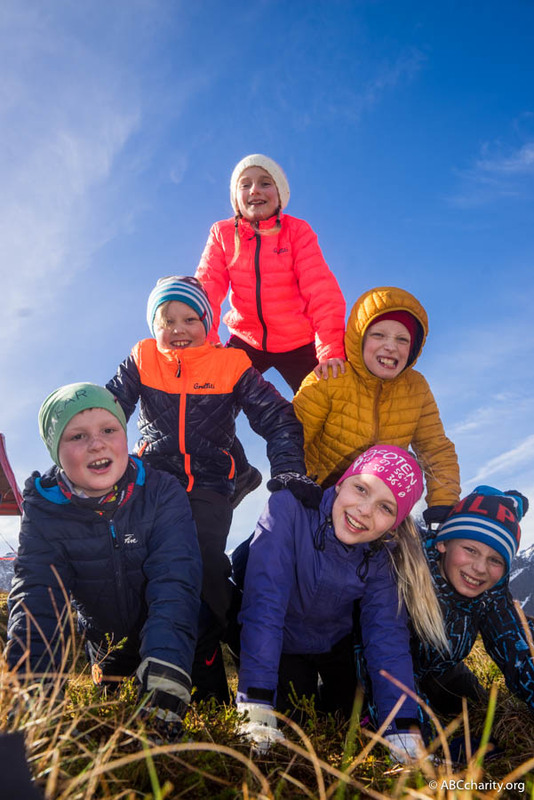 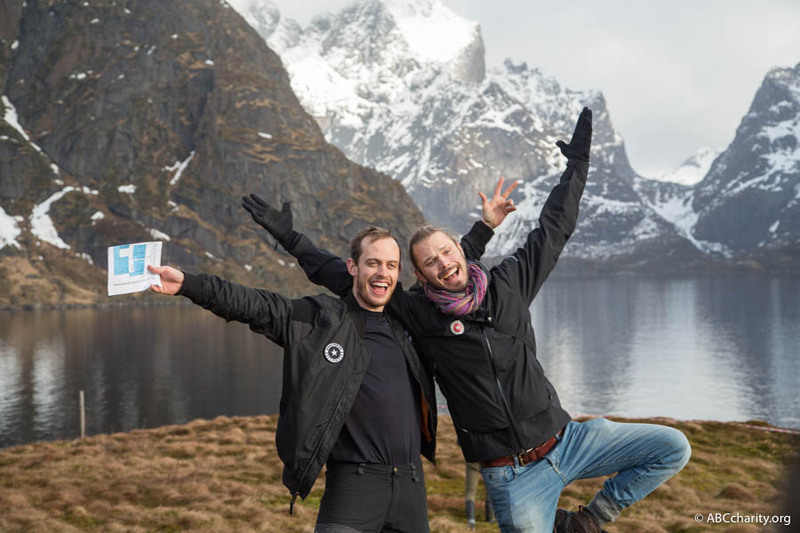 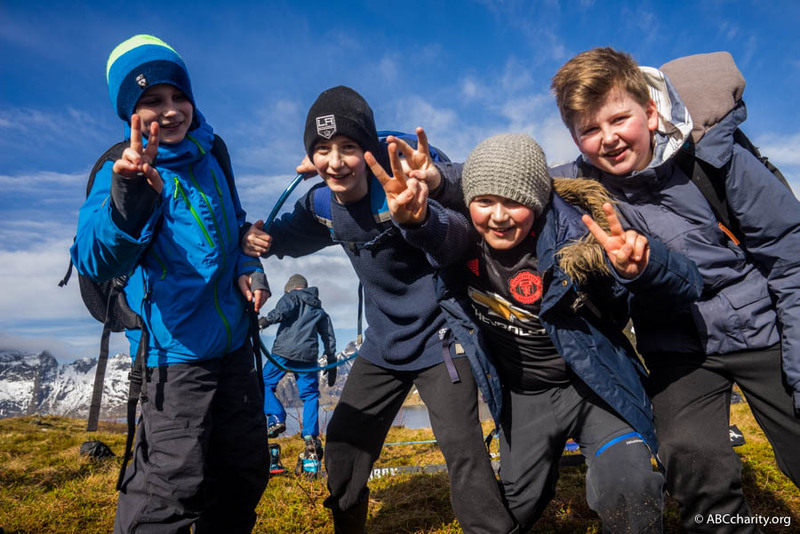 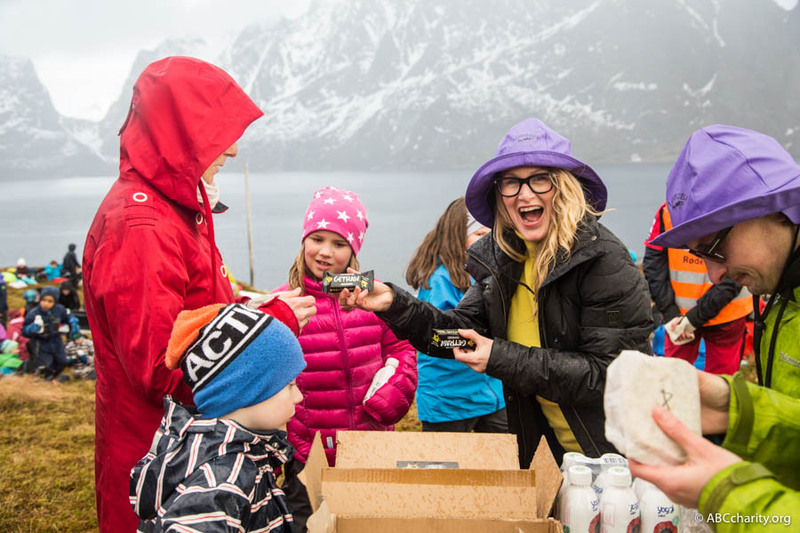 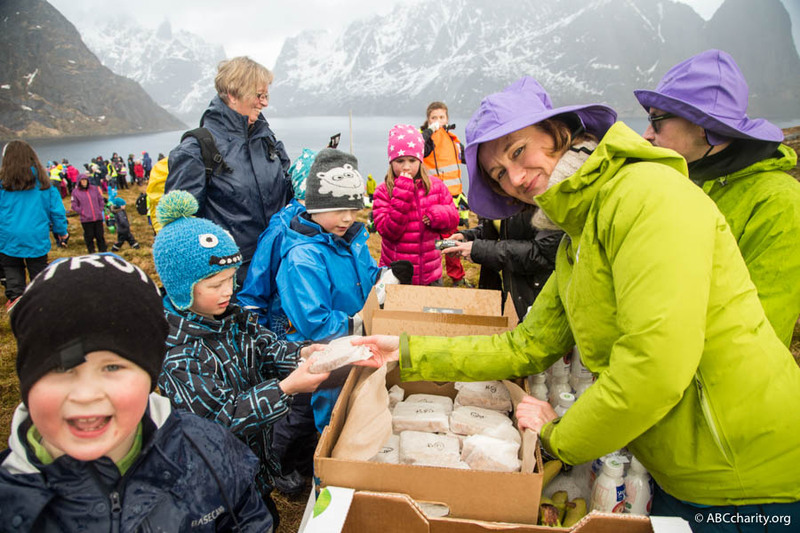 Swedish Arla donated Yoggi Yalla, GetRaw supported with tasty organic, gluten-free energy bars and the local community of Lofoten supported with their expertise in sandwich-making. 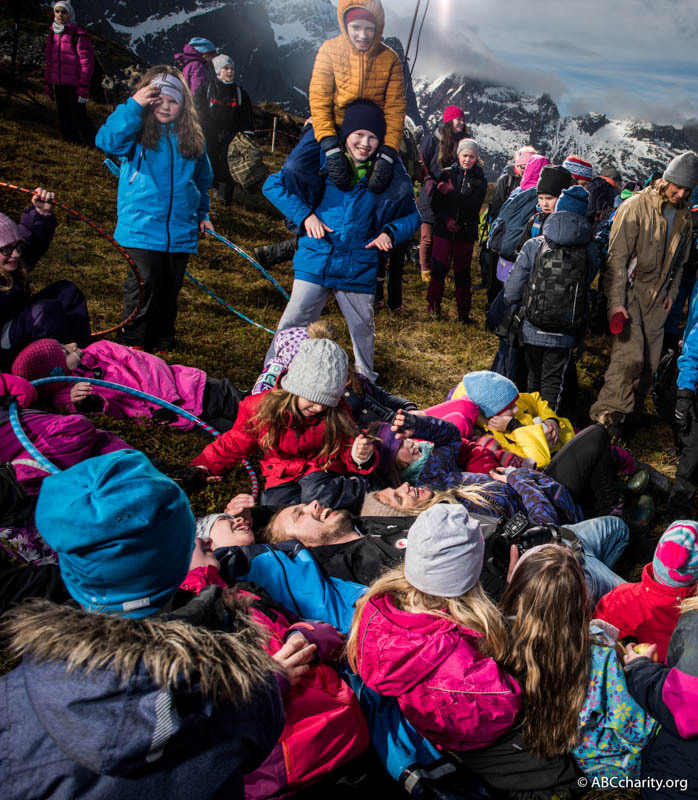 The event was such a success – the children so happy knowing that on this day, they felt empowerment to help other children and at the same time realized what it was loads of fun to do so, to give without expecting anything back. 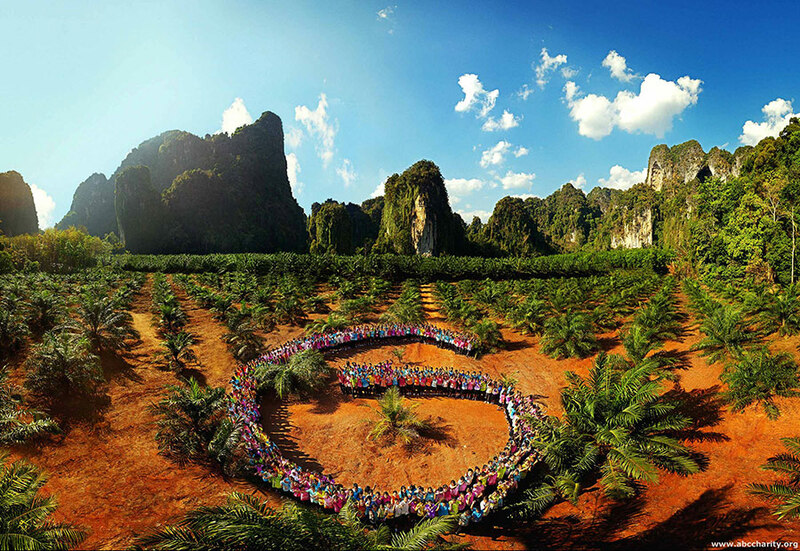 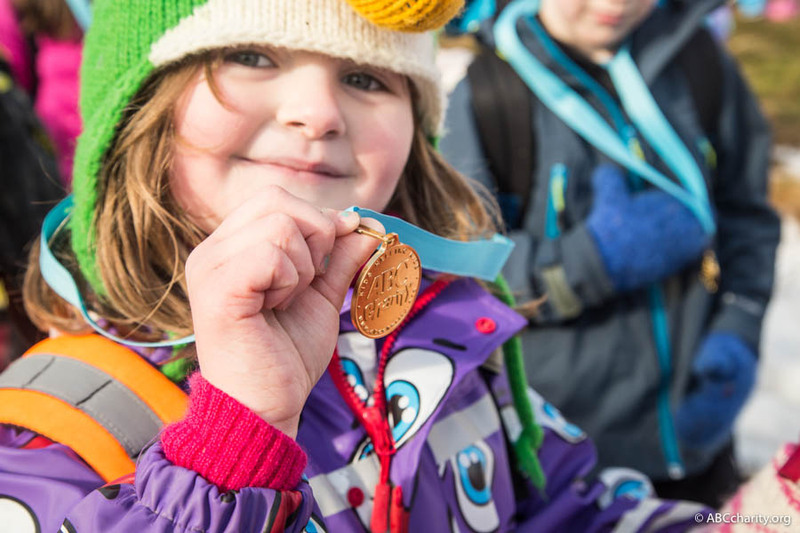 The event’s grande finale – gifting the children gold medals with the written words: “I Can Change the World” and “Together We Can Make a Difference”. 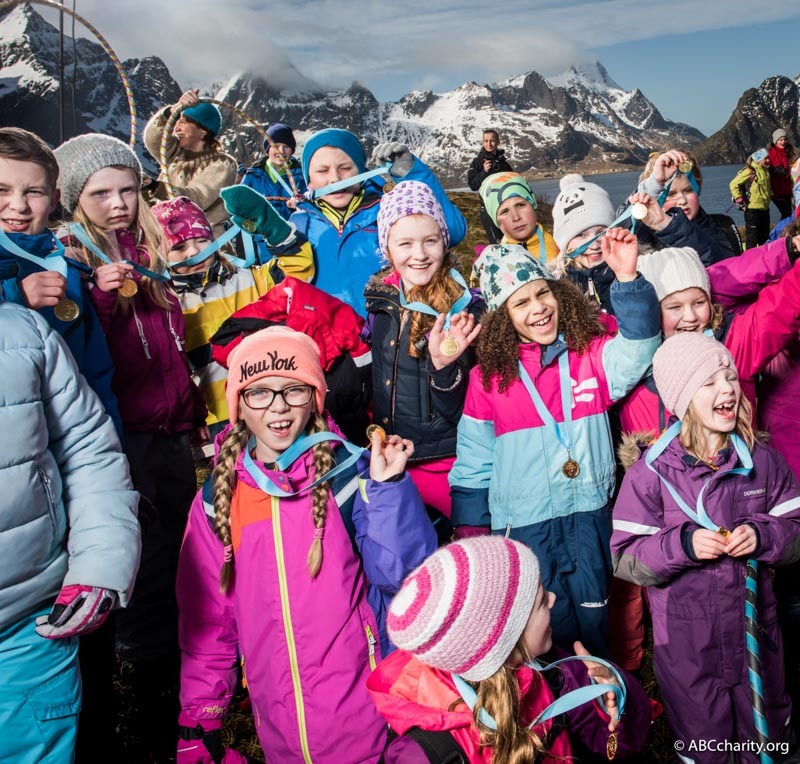 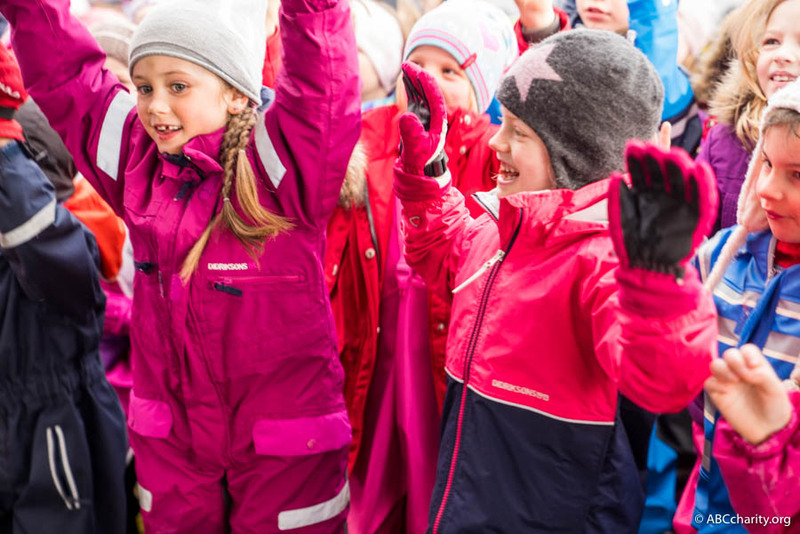 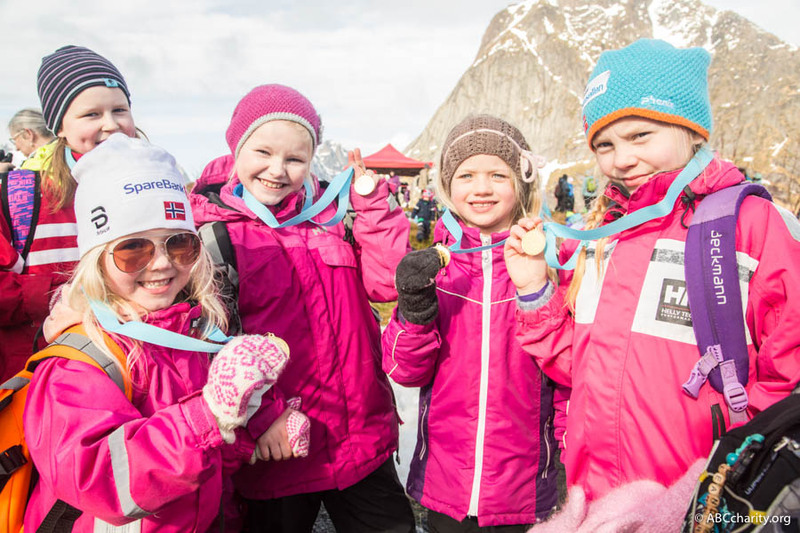 The medals were handed out and hung around the children’s neck as a gesture of accomplishment by ABC Charity’s local ambassador Runhild Olsen, Mayor Lillian, vice Mayor Laila Jusnes Kristiansen, Fia Garvner, Pär Stenhammar and Filip Cederholm. 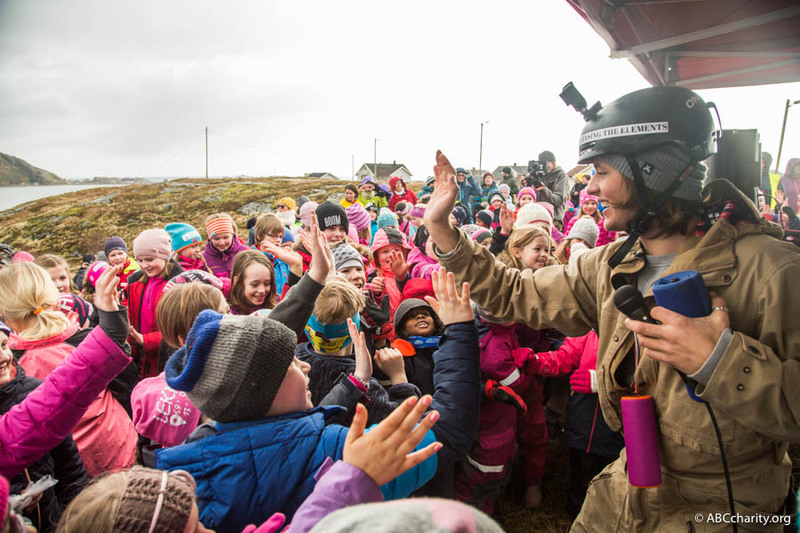 A memory for life was created for everyone involved and the ABC Charity team are forever grateful for the amazing support from the local community with Runhild Olsen as the local ambassador giving not only her time, heart and support but also opened up her entire home for us to be able to eat, sleep and work. 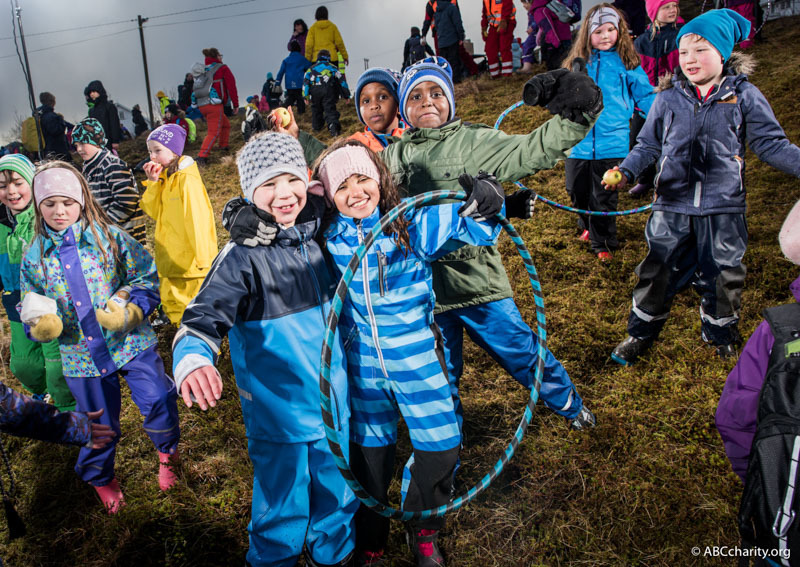 “It is an honor for us to support ABC Charity who share the same values as us on Hammarby Handboll. 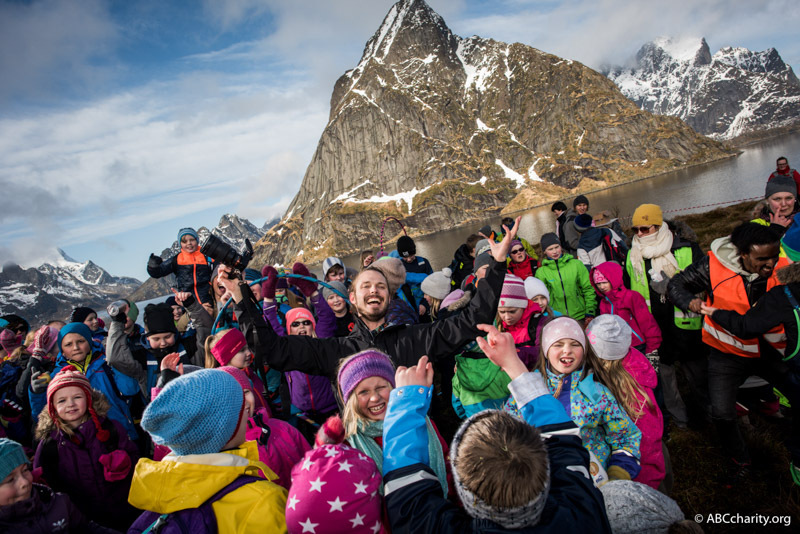 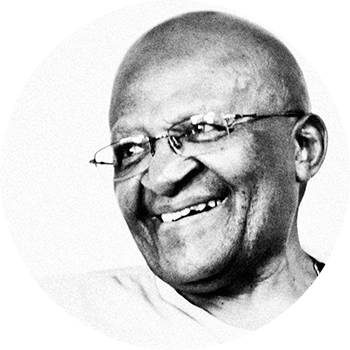 We both want to inspire the youth to a more compassionate lifestyle. 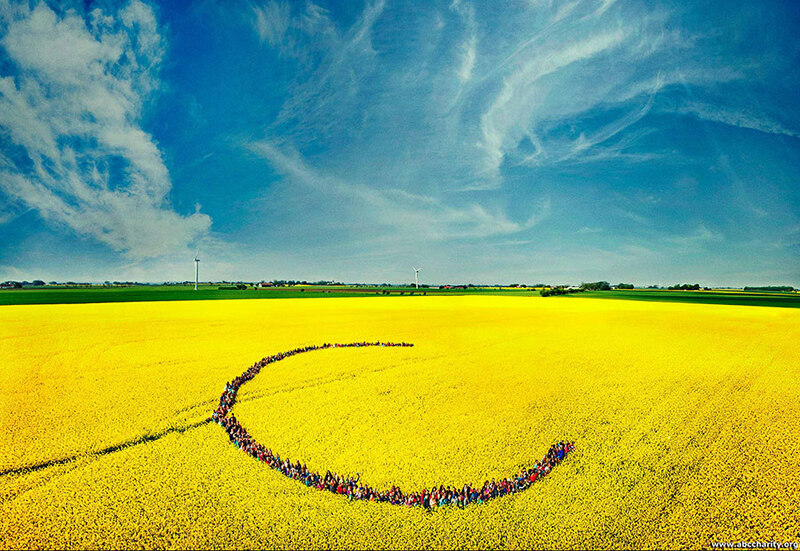 A special thanks to all the companies, volunteers and amazing people who helped us making it a memorable day for all the kids.